November is CPA Month of Service - Wathen, DeShong & Juncker, L.L.P.Wathen, DeShong & Juncker, L.L.P. For the second year in a row, Wathen, DeShong & Juncker, LLP participated in the November CPA month of service hosted by the Texas Society of CPAs. 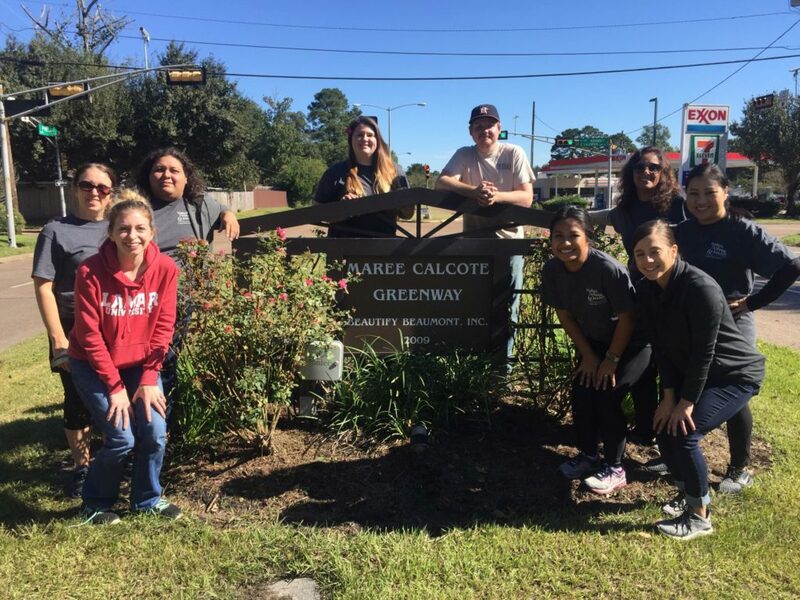 Our community service day was held on Friday, November 16th at the Maree Calcote Greenway. We thoroughly enjoyed partnering with Laurie Leister at Beautify Beaumont again. There were ten* of our staff members who volunteered and performed the tasks of trimming and fertilizing rose bushes, cleaning up the site, and weeding the flower beds. It was a beautiful day to give back to our community!